Some car accident injuries may require surgery and extensive, long term care. Car accident injuries can be serious and even life-threatening. Depending on the severity of the injuries, the total costs of medical bills and lost wages can quickly escalate. Some injuries may require surgery and extensive, long term care. These injuries often result in the highest costs. In this post, our St. Louis car accident lawyer will talk about car accident injuries that may require surgical intervention. Knee injuries are common in head-on collisions. When the front of the car is crushed into the driver or passenger or it collapses, it can cause serious leg injuries. The knee can suffer a variety of injuries ranging from a torn ACL to broken bones. These injuries often require extensive treatment and involve long recovery periods. The force of impact of a collision can cause back or spinal cord injuries. It is not uncommon for vertebrae or discs to be displaced, and victims can experience herniated or bulging discs that require surgery and long periods of physical therapy. Spinal cord injuries may also need emergency surgery to prevent paralysis. While most broken bones can heal with a cast and conservative therapies, serious fractures especially where nerves and blood vessels are involved may require surgery. In some cases, complete recovery may not be possible and the victim may not be able to recover complete functionality of the injured part even after completing the treatment. Head injuries and traumatic brain injuries are among the most common car accident injuries. These injuries can be mild wherein the symptoms last only a few weeks to severe TBIs that have life long effects. In the U.S., the total cost of TBIs is estimated at $32 billion. Internal injuries can be life-threatening if not treated promptly. Punctured organs, internal bleeding, collapsed lungs and other internal injuries often require surgical intervention. 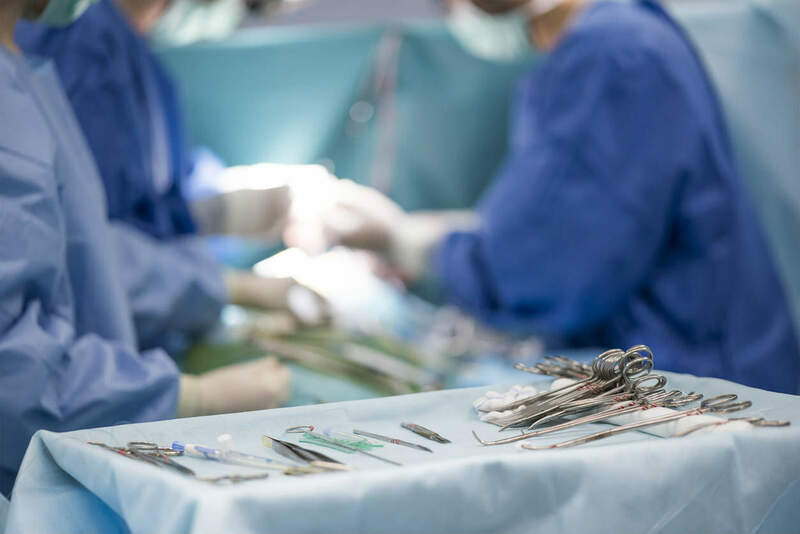 While minor injuries may require only a minimally invasive laparoscopic surgery, more serious ones may require advanced surgeries that involve very lengthy recovery periods. These injuries are among the most expensive injuries to treat. Cost of car accident injuries that require surgery can be astronomical. The victim also has to pay bills from the hospital, surgeon, pharmacy, anesthesiologist, diagnostic tests, physical therapy, and others. Apart from the medical costs, the patient also has to bear other costs such as lost wages, pain, and suffering and property damage. If you require surgery for your car accident injuries, you should get in touch with a competent and experienced St. Louis auto accident attorney. The services of a lawyer are important not just to arrive at a settlement amount, but also to ensure that the amount is paid. The lawyer will protect your rights and will ensure that you are adequately compensated for your injuries. Call The Hoffmann Law Firm, L.L.C. 24/7 at (314) 361-4242 to schedule a FREE consultation.